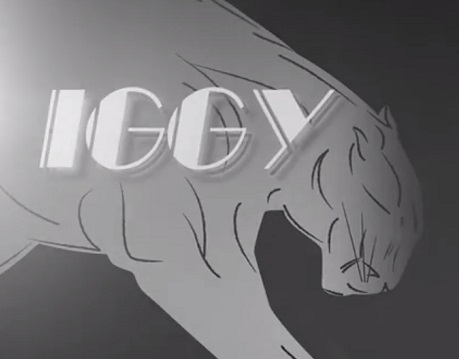 Iggy Azalea's Reclassified, an update of her hit version The New Classic LP, is out now, and with it comes a new lyric video for bonus cut "Beg for It." You won't have to get on your hands and knees to ask for the video to be unleashed, as it's online now. The clip is pretty simple, with Azalea's bars criss-crossing the black and white landscape of an old cinema screen. She details the highlife ("fly living, ain't nothing to it"), tells anyone not deemed to be ballin' to hit the showers, and more. We get to see a still shot of Azalea for a moment, but the video also stars a few static wild cats. You can learn all the words be streaming the instructional vid down below.